Hey, Simmers! I'm not going to have time in the morning to post anything because I'll be heading off to see the NHRA races at Maple Grove super early. (I know... Then why are you still awake?!) So I figured I'd be a good creator and upload something NOW. 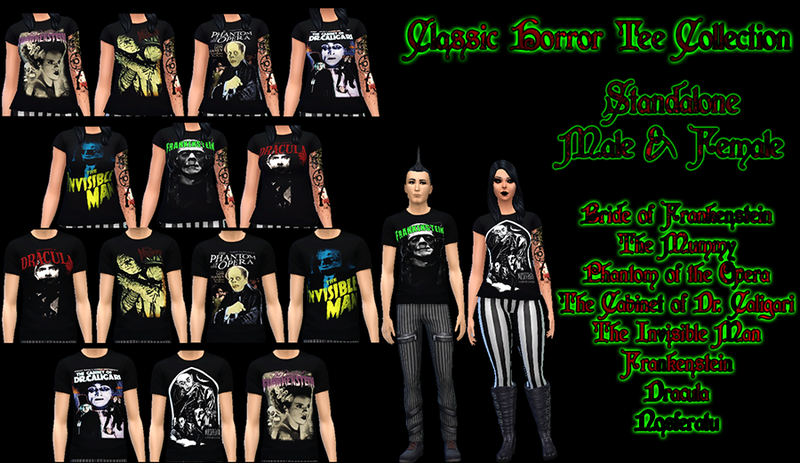 I made you guys a bunch of classic horror movie tee's for male AND female. 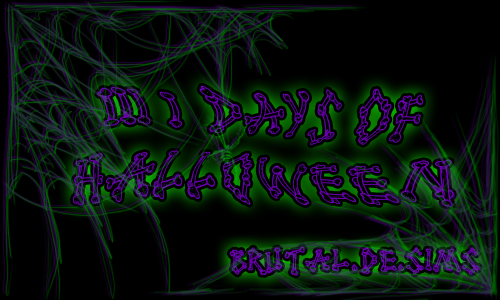 This isn't just for 31 Days of Halloween but it's also to thank all of you for following me on my Simblr and downloading my crap. I'm still pretty new to creating CC and having a Simblr so I really truly appreciate every single one of you. Thank you all for being so wonderful. These shirts are standalone. I was going to give them all their own swatches but laziness took over my life like it always does.